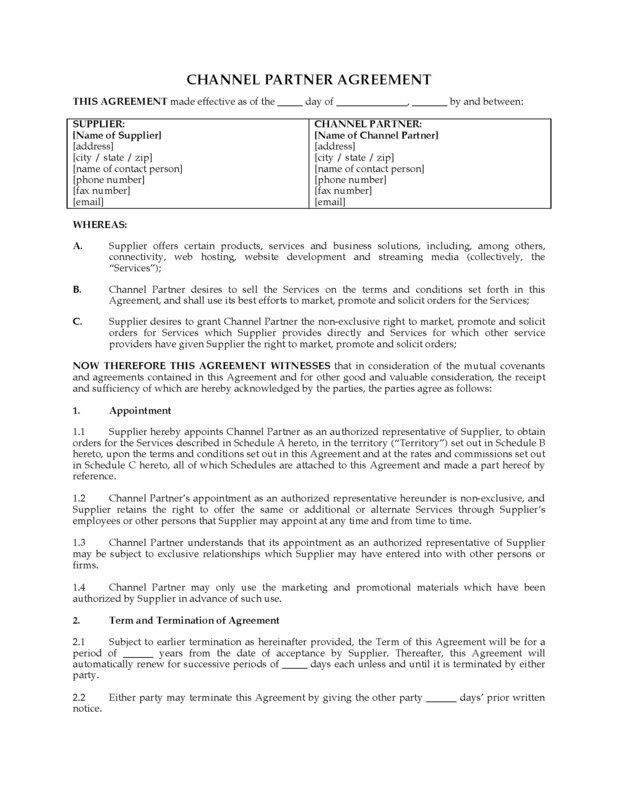 Prepare a Channel Partner Agreement between a service provider and a channel partner with this easy template for the USA. The channel partner will sign up subscribers for the provider's business networking services and solutions, in return for an ongoing commission payable on the recurring monthly revenue. The network service provider authorizes the channel partner to market services for third parties which the provider is authorized to sell, and grants the channel partner a limited license to use trademarks and logos of such third parties. All customer orders must be approved by the provider at its discretion, before being considered as a sale. 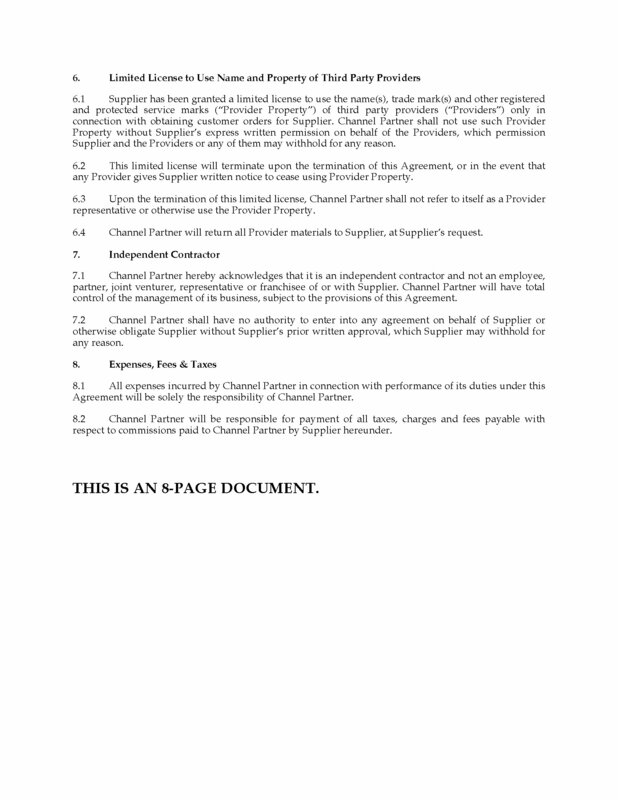 The contract includes a confidentiality clause to protect confidential information of the provider and third parties. 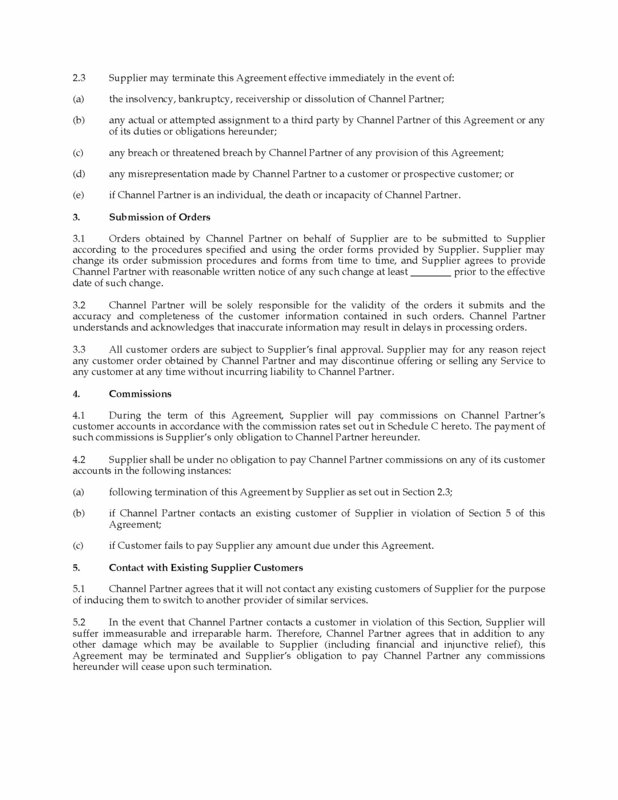 The channel partner agrees not to contact the service provider's clients to induce them to change services. This USA Channel Partner Agreement is provided in MS Word format, and is totally editable to fit your specific needs.